From time to time I consider reviewing an old favourite for my Because My Tears Are Delicious To You series, only to discover that the book in question was published after March 1981, too recent for Tears1. Pity, because there were a great many books published in the 1980s that were almost as formative for me as the ones I read as a teen. If only I had my own review site, I muse, I could indulge my whims. It turns out I do have a review site that is completely under my control! Bwahahaha! 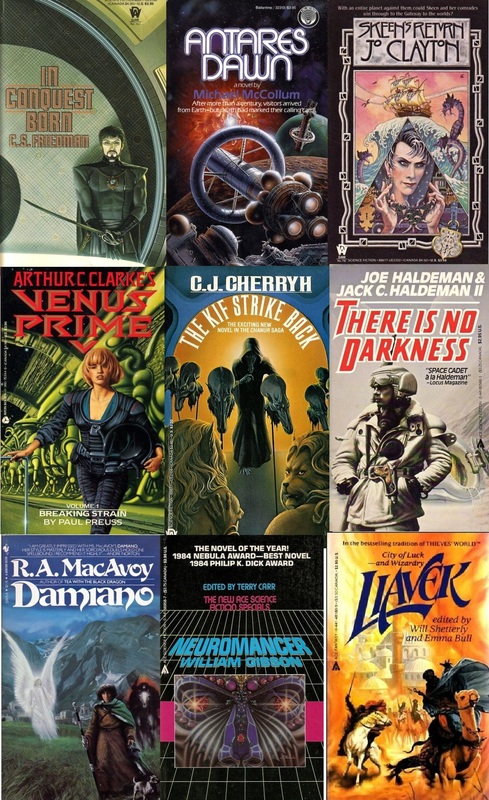 Welcome, therefore, to Big Hair, Big Guns, intermittent reviews of the best (or at least most notable) SF works of the 1980s. 1: Tears covers those books I read as a teen. Thanks to math and the Julian calendar, I was only a teen from 1974 to 1981. You're still on the Julian calendar? Time to get Gregorian.